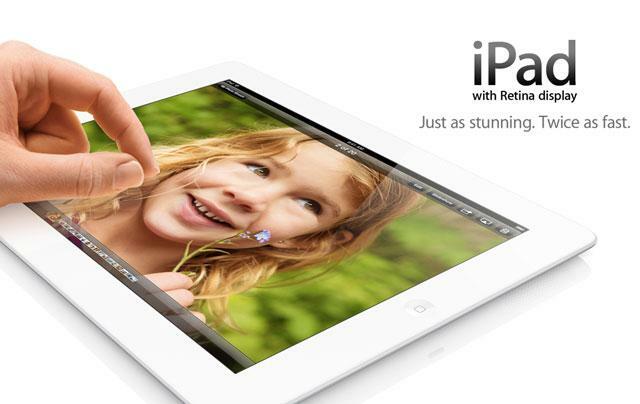 The next full-size iPad from Apple will launch toward the end of 2013, after Apple's next iPhone, and the new tablet will gain a rear-facing microphone much like the iPhone 5, a new report claims. The details were published on Thursday by Japanese blog Macotakara, which indicated that the fifth-generation iPad is expected to ship after Apple's anticipated "iPhone 5S." Reports have pegged Apple's next iPhone for launch around September, which would be around a year after the iPhone 5 went on sale. According to author Danbo's sources, the next 9.7-inch iPad will gain a rear microphone next to the camera, much like Apple added to the iPhone 5 in 2012. The report noted that prototypes of the iPad mini also included rear microphones, but were not included in the final shipping product introduced last October. While Apple apparently opted to remove the rear mic from the iPad mini in late stages of development, thus far it appears the microphone will remain on the next 9.7-inch iPad. Earlier reports have claimed that Apple's fifth-generation iPad will adopt many of the same design elements Apple adopted with the iPad mini, including a thinner bezel around the screen and more rounded edges. Those changes are expected to make the device 25 percent lighter and 15 percent thinner than its predecessor. Among the internal changes expected is a "GF2" touch panel, which would make the touchscreen component of the iPad thinner. And improved power efficiency could also allow Apple to reduce the size of the iPad's internal battery, which currently accounts for most of the device's weight.